Co-workers email other departments rather than walking down the corridor, and in some situations, even email the person next to them instead of asking a question. Emails give us a written record to prove the conversation was held – which can be a good thing – but we also use them to hide behind when we want to avoid confrontation, or the minor inconvenience of having to leave our computer screen for five minutes. The trouble is, using emails is not always the best way to communicate, particularly with your design agency, and can end up causing delays as written messages are always open to misinterpretation and confusion. At Frost Creative we always encourage our clients to give us a call and we will always do the same whenever possible. 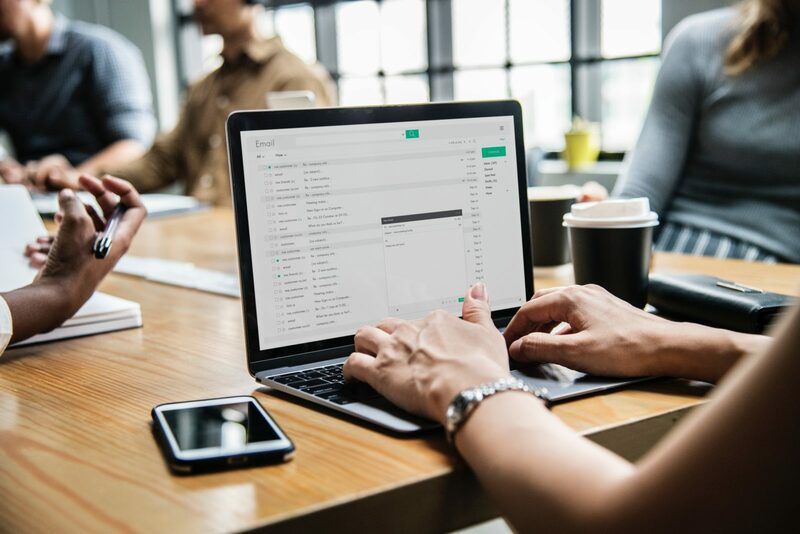 It is all too easy to misunderstand the tone of an email – someone might think they are writing politely but firmly, while the person receiving it might think it was stand offish and rude. Tone is impossible to convey on email and is open to complete interpretation. If the tone of your message is really important, you should always use the phone. Your voice will show your meaning straight away, leaving no room for misunderstandings. If you have an urgent matter that you need a quick response to, then pick up the phone to your agency. If you’ve spotted a key change that needs to be made or a problem, then it’s always better to call to get the matter resolved. Emails can be missed in busy inboxes, or caught in spam folders so if the matter is urgent, always make a call. If the project you are working on is complex and you have some ideas to run past the agency team it’s always better to make a call so you can talk through exactly what you are thinking – particularly if you don’t yet have perfect clarity in your own mind. Talking things through is far easier than trying to explain complex issues via email. Agencies and their clients hope to work together long term and the best way to build a lasting business relationship is to have regular face-to-face meetings but also to have the courage to call each other whether there’s an issue or just to give an update, rather than rely on email. Talking to another person directly is the only way to build trust and rapport. Sending out an email only to be bombarded with a volley of back and forth questions can become frustrating on both sides, so if you know what you have to say will lead to more questions, then it’s better to talk on the phone as its likely to be resolved far more quickly than by a whole series of endless emails. If you need to approach someone with a sensitive topic or talk about confidential issues then it should be done face to face preferably, or if that’s not possible, by phone so that they can pick up on your body language and understand your position. These types of issues are the worst to talk about on email. Building up long term, efficient and trusting relationships between clients and agencies takes time and doing a good job against a brief will go a long way to help to build that rapport, however, better communication on both sides can also help to smooth the path towards that goal. It’s so common to communicate by email now that we often just type something out and send it across without thinking it through. Emails have their place but we should always think – could this be better dealt with by a phone call first? At Frost Creative we are keen to make sure all of our communication with our clients is as effective as possible which is why we will always make the effort to pick up the phone rather than rely on email for important matters.